Have you noticed the price of greeting cards lately? It's absolutely outrageous! Seems like I've spent half as much on a card as the gift! Well, I have a suggestion! Here's one of the hundreds of greeting cards that I've made. This particular one was Clinton's Valentine's Day present from Lucas. It was easy! All you need is some washable (tempera) paint, and some paper. Don't forget to have some wipes or a wet washcloth on hand BEFORE you start painting. If you have older kids, they can color, paint, or cut-and-paste a collage as the front of the card, and the adult can help them write a message inside. 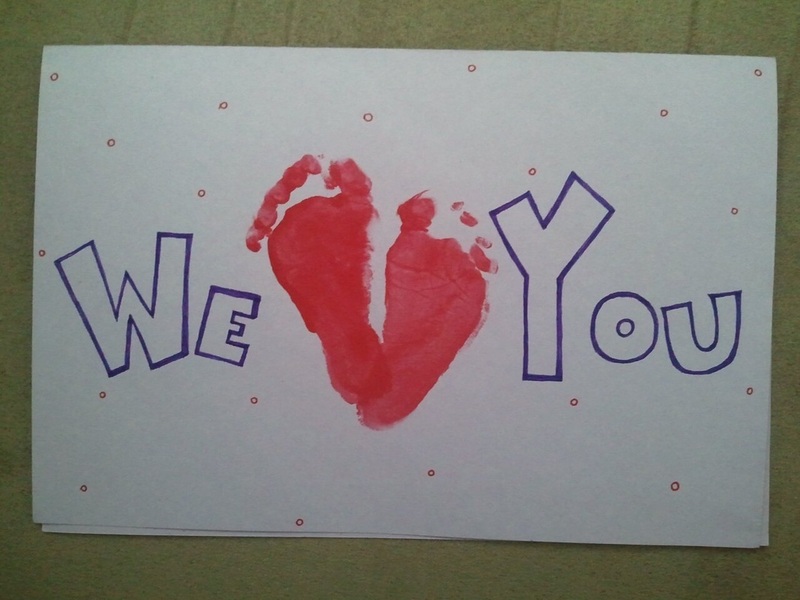 You've suddenly created a one-of-a-kind card, and spent some time with your kids! 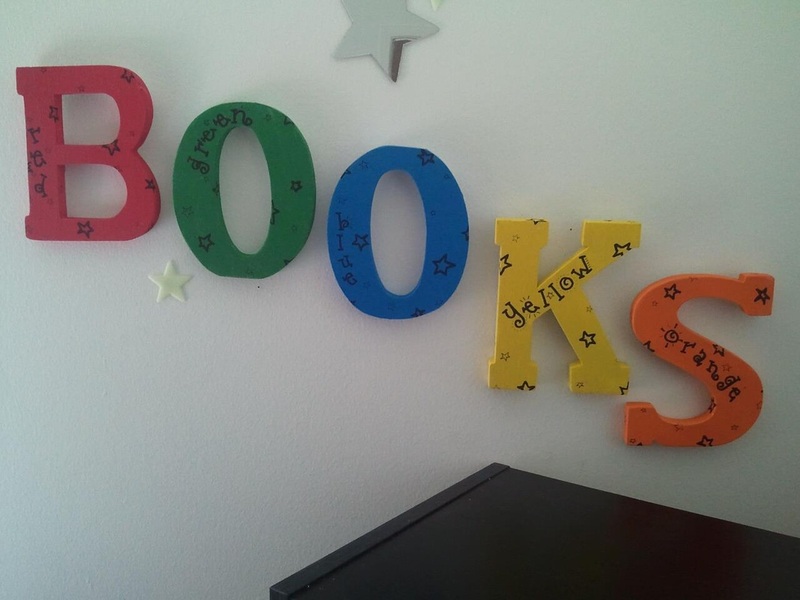 You can easily spend a gillion dollars on decorations for your kids' room. With just a tiny bit more effort, you can make some decor that shows your personality! If your kid is old enough, you can get them involved, and now you're creating a bonding moment where they can learn something, too! I received these letters as a gift (but you can purchase them at any craft supply store for about $1.00 each), and used paint that I already had to make them bright! Once they were dry, I used a permanent marker to decorate the top and sides. Simple, et très magnifique!